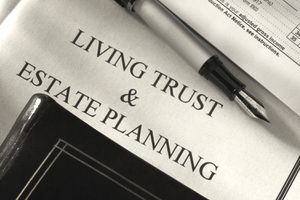 The ease of amending a revocable living trust is just one of the many benefits of using one as the foundation of your estate plan. Life is rarely stagnant, and a revocable trust gives you the flexibility to make changes to the terms of the trust agreement so you can keep pace with life's events as long as you are mentally competent. You can even revoke the trust at any time. But how do you make changes to your trust that will be legally valid? You can make changes to your trust in some ways, depending on what you want to amend and other circumstances. Prepare and sign a trust amendment that is valid under your applicable state law. Sign a complete trust restatement that is valid under your applicable state law. Sign a complete revocation of the original trust agreement and any amendments and transfer the assets held in the revoked trust back into your name. You'll then have to create and fund a brand new revocable living trust unless you intend to revoke the trust entirely. Option 3 is radical, time-consuming and often expensive, and it may not be necessary. You may only want to take this approach if you need to make radical and sweeping changes to the initial trust agreement. Otherwise, a trust amendment or restatement is typically appropriate if you want to change or add beneficiaries, if you marry or have a child, or if you add significant property. A trust amendment changes one or more provisions of the trust without revoking or undoing it, but if you make numerous changes over the years, this method can become confusing. Your successor trustee, the individual who takes over to manage and settle the trust at your death, may have several documents to sort through and make sense of. Restating your trust involves a single document stating that you're not revoking the original trust agreement but are restating it with some amendments. Your trust stays in place, and you don't have to move property out of it then back into it as you would have to do if you revoked the trust entirely. The restatement document details your changes and is sometimes called an "Amendment and Restatement of Declaration of Trust." The restatement document should specifically say that all other provisions of your trust remain the same, or you can repeat the contents of your original trust agreement while incorporating your changes. The result is the same: Your trust wasn't undone or revoked, so you don't have to retitle all the property it holds. As long as it's not formally revoked, it can continue to hold ownership of all assets you've placed within it. If you and your spouse are co-grantors and co-trustees of your revocable living trust, you formed it and managed it together, either of you can generally revoke it at any time. If you want to change provisions, however, either with an amendment or a restatement, you must both agree to the changes in writing.